Evidence room space is always at a premium. In most instances, creating more space is done by either constructing a new area specifically for that purpose, or by an “up-fit,” where walls are moved or torn down to accommodate expansion. There are situations, of course, where neither of those options is available. 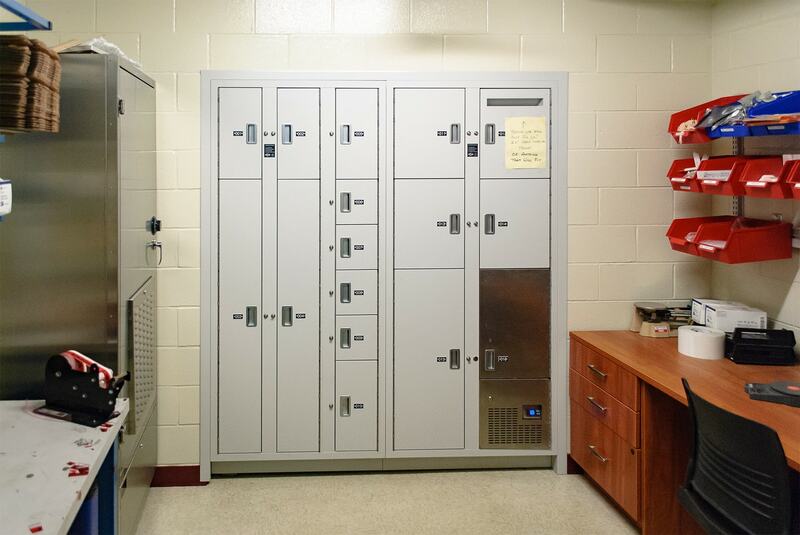 With an evidence room that measured just 371 square feet, the Whitehall Division of Police in Whitehall, Ohio faced just such a dilemma. After some consultation and planning, a new design took form. Patterson Pope took over an adjoining storage room, creating an evidence processing room in its place. HOW STORAGE MADE THE DIFFERENCE. Given the nature of police work, it seems as though there’s never enough room. In this case, Patterson Pope helped the Whitehall Division of Police maximize the benefit of their established footprint. The difference can be seen not only in the physical transformation of the space, but also in its workability and the satisfaction of those who use it every day. 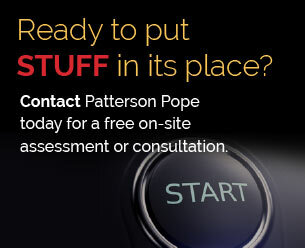 Contact Patterson Pope today for a free on-site assessment or a consultation. Stuff matters to Robert. In fact, you could say he knows stuff inside and out. Literally. He played the role of "Stuffey" in our most recent P2ube Video series. So chronicling Patterson Pope's battles with stuff problems was a good fit. In his free time he enjoys collecting staplers, ball point pens and sugar packets.